February 16th, 2009. By Dave Oei. 12,401 views. Science isn’t all about number crunching. Sometimes physics is fun. And as a follow up of an aurora article I wrote some time back with regard to the mission of NASA’s THEMIS, I thought about revisiting the set of probes to see if anything new has developed. Well, new things have developed, specifically, a better understanding of how solar particles breach our planet’s magnetic field. You can attempt to read and understand more about that here. Once you’re done, enjoy the pictures that follow. Photo by Joshua Strang. 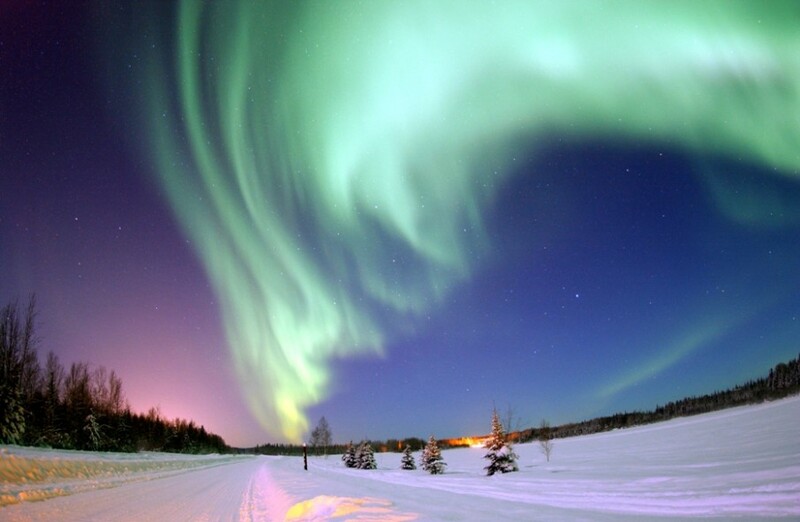 This image was taken over Alaska, and was voted Wikipedia Commons Picture of the Year for 2006. Photo courtesy of NASA. 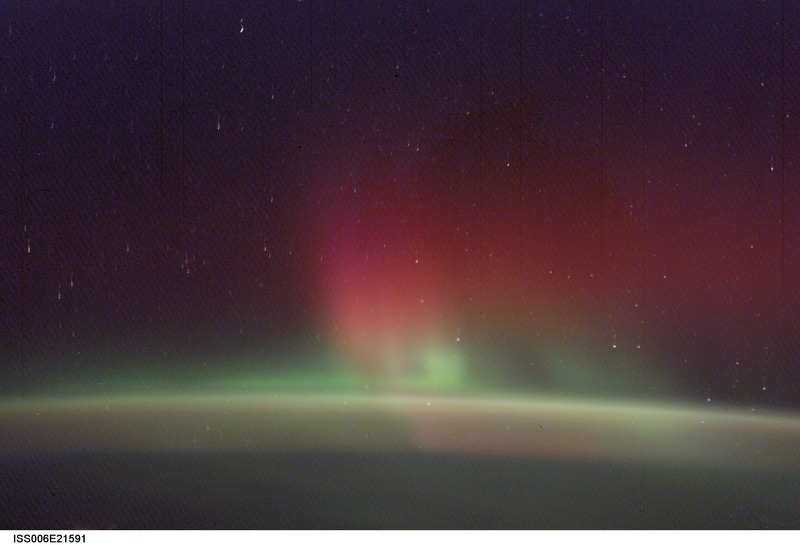 This image, taken from the International Space Station in February 2, 2003 shows green and red aurora. Depending on conditions, the ISS can travel through, above, or below aurora. Photo by Don Pettit, ISS Science Officer in 2003. 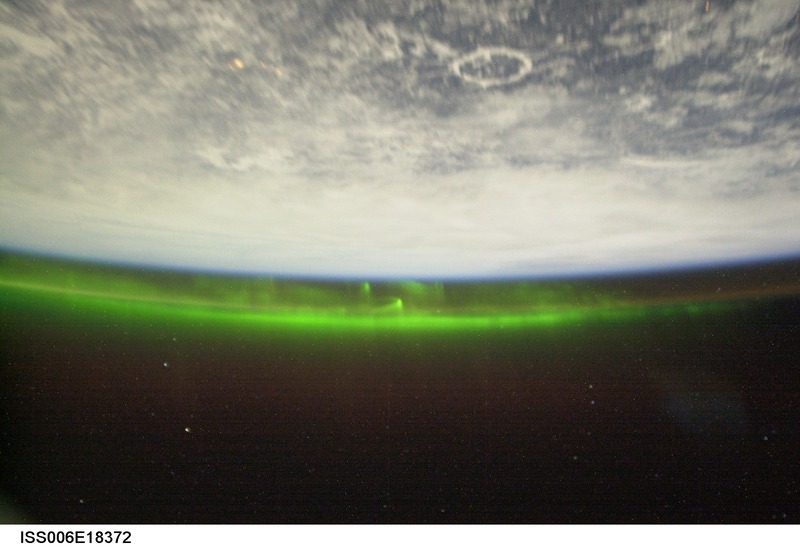 Here’s another instance of the ISS going head to head with a green aurora. Photo by Bud Kuenzli, courtesy of NASA. This photo, taken over an Alaskan lake captures not just an awesome aurora, but a shooting star and the the Pleiades. You can find the original description here. Really liked the refected Aurora Borealis in the Alaskan Lake.